Add fashion and function to your home with the Maples Rugs Rebecca 3-piece accent rug set. The vivid abstract pattern Stands out beautifully against the solid background, available in 4 on trend color options. The Maples Rugs Rebecca 3-piece accent rug set will make a statement in your home whether you choose to place the rug in your entryway, living room, or bedroom. 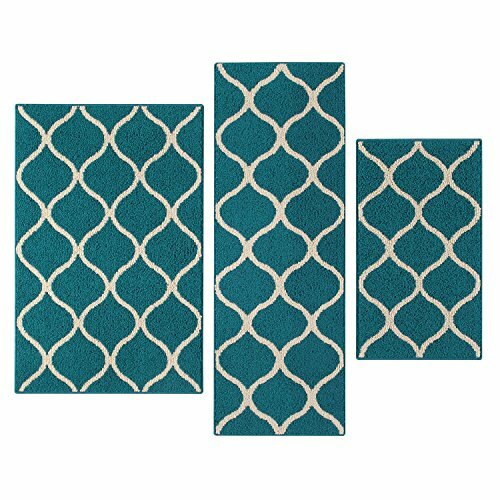 3-Piece Accent Rug SET Includes 1'8"X2'10", 1'9"X5', & 2'6"X3'10"
If you have any questions about this product by Maples Rugs, contact us by completing and submitting the form below. If you are looking for a specif part number, please include it with your message.